I’m so sad to announce that my sweet Hazel has passed away. 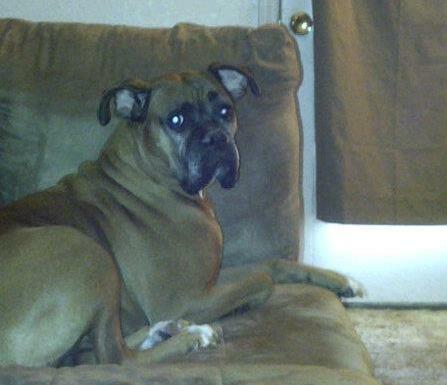 We had to put her down yesterday October 12, 2012 at 1:20 pm due to her having seizures. It breaks my and my family’s heart knowing she is no longer here with us. We have only had her since February 2012 and everyday that she was with us was a blessing. She blessed us with her love. She was the best dog anyone could have asked for. I wish we could have had longer with her but knowing that she is out of pain and is able to be the Hazel that we fell in love with puts us at peace. We couldn’t have asked for a better dog. We will forever love and miss her! Hazel we love and miss you always! Love ur mom, dad and ur sisters!